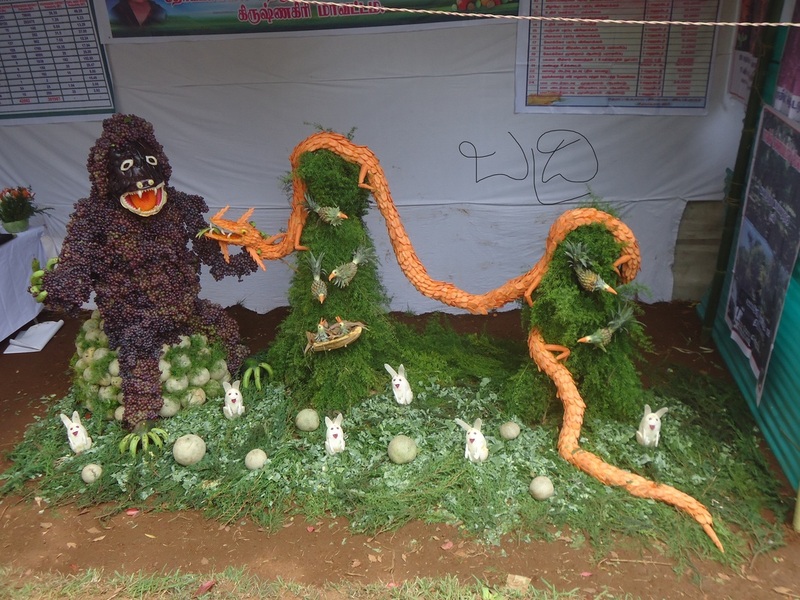 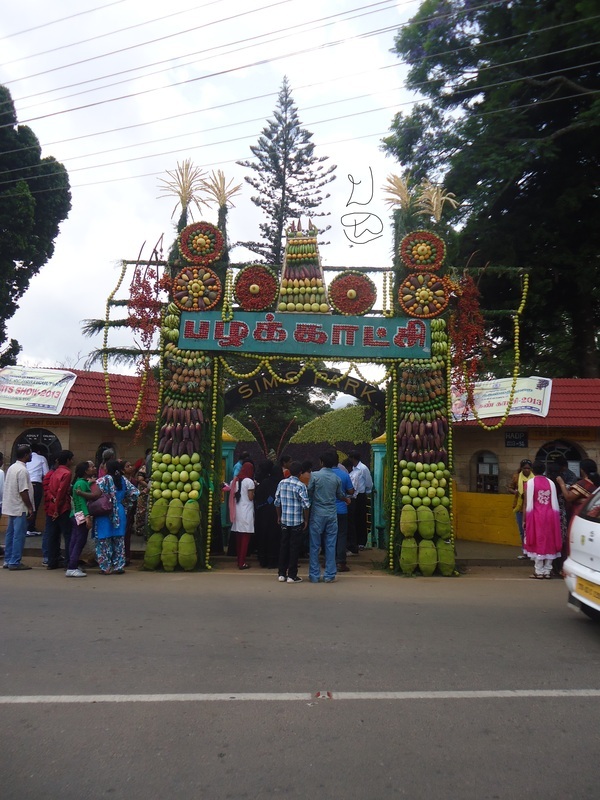 Thousands of tourists from various parts of the country thronged the Sim's park in coonoor on saturday(25/05/13), the opening day of the two-day 55th Annual fruit show organised by the department of horticulture and the district administration. 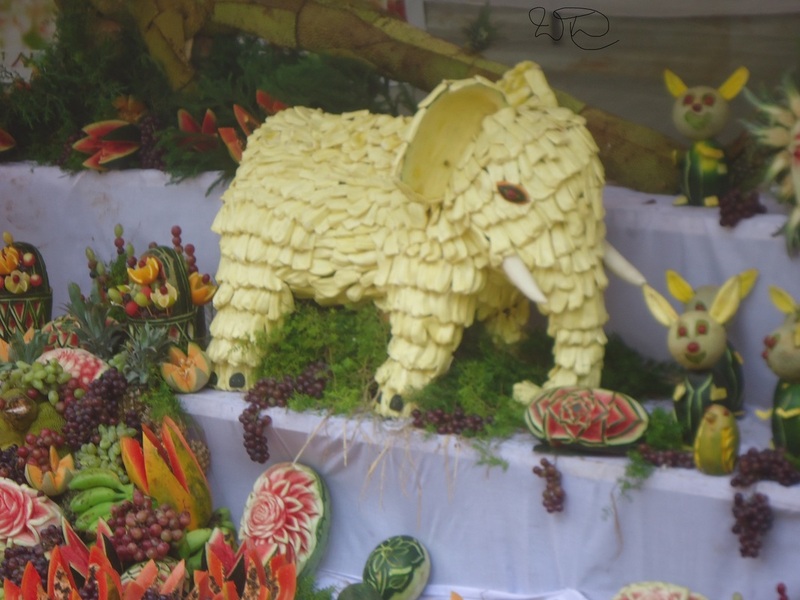 With a fruit bedecked welcome arch ushering them in, the visitors were greeted by a huge butterfly made with a variety of fruits , including apples, pineapples,pomegranates, grapes and sweet lime. 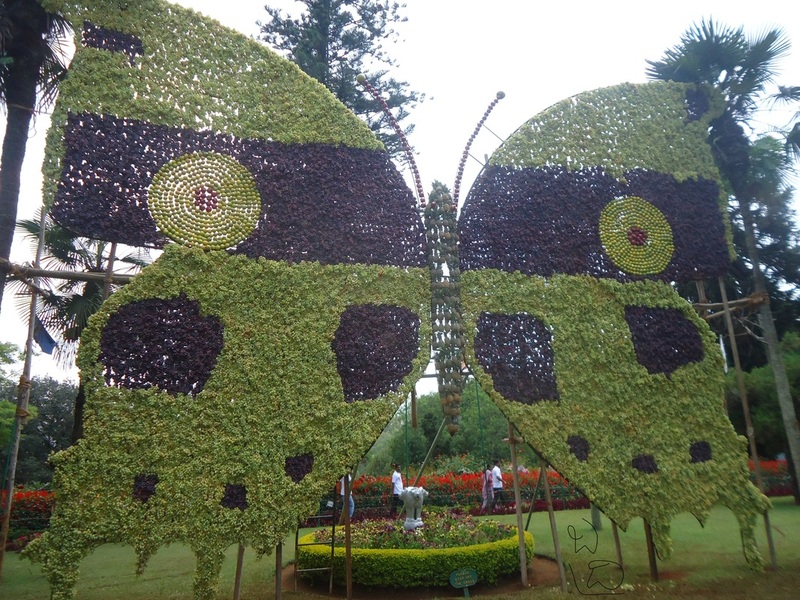 the exhibit which was 24 feet high and 34 feet wide weighed 3,500 kg and occupied a prime spot. 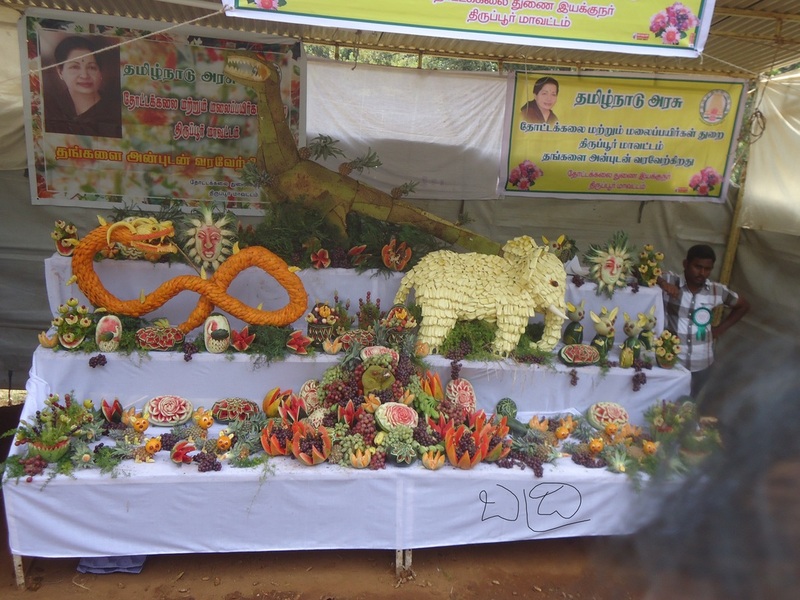 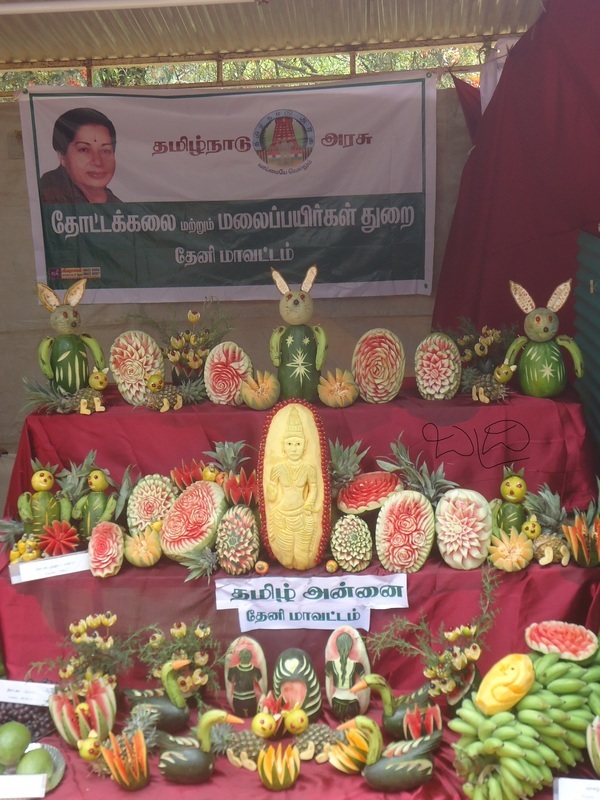 Of the 15 stalls put up at the venue, one showcased the horticultural wealth of the Nilgiris while those of Dharmapuri,Krishnagiri, kanyakumari,Trichy, Tirupur,Dindigul,Theni,Vellore and Thirunelveli displayed a number of intricate fruit carvings. 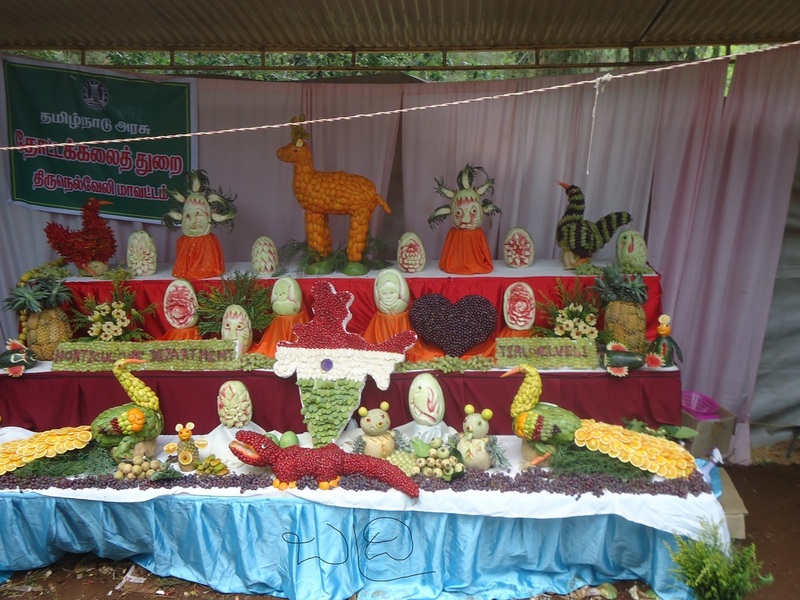 Among them were a penguin,a dragon, an elephant,a dinosaur,a rooster and a swan. 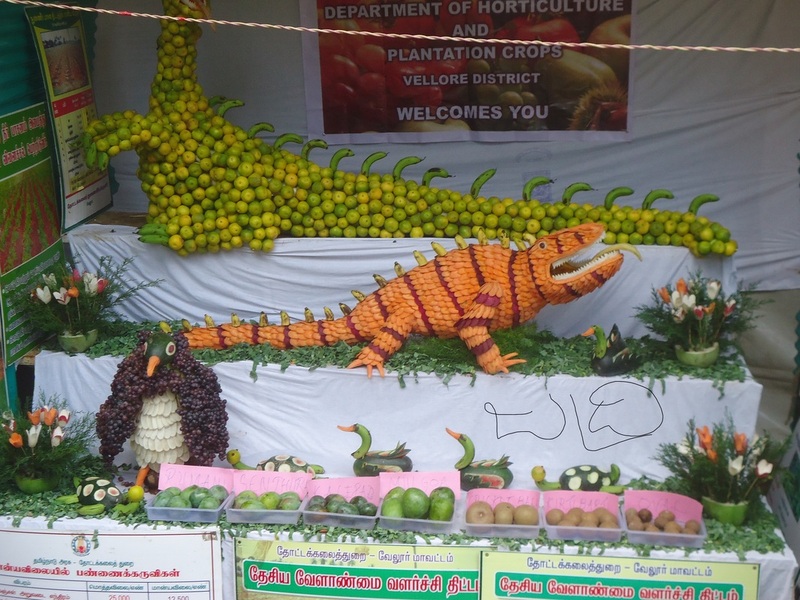 There was also a map of India created with fruits. 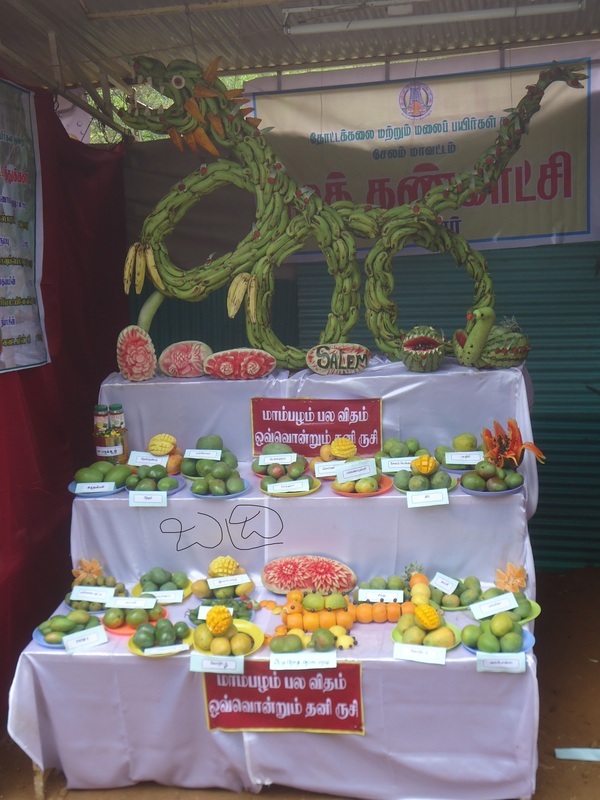 the Tamilnadu tea plantation corporation has put up a stall to promote ts products. 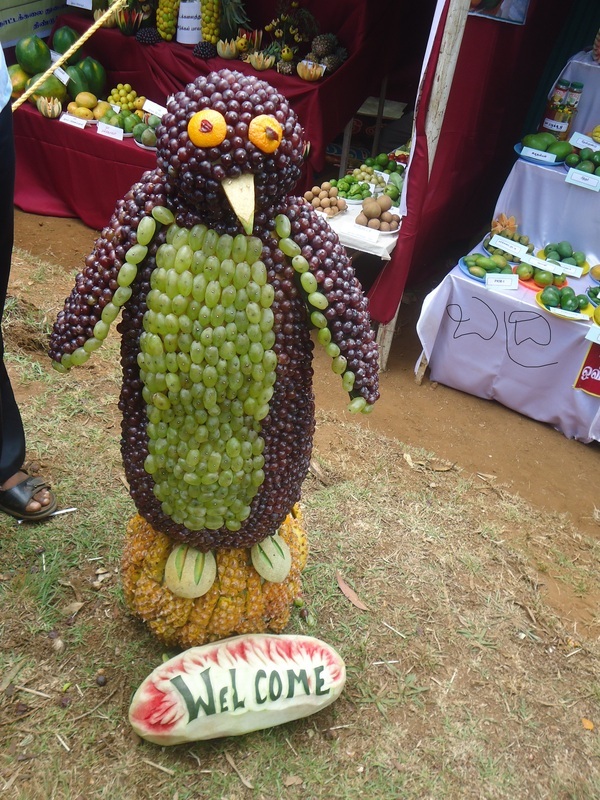 penguin with grapes and pine apple.